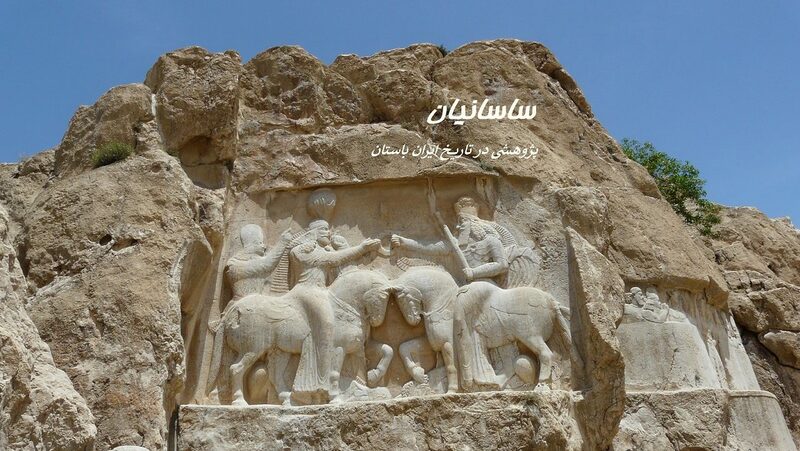 The Sasanian dynasty of Iran ruled an area from the Euphrates River to Bactria from the third century A.D. until the Islamic conquest in the seventh century, controlling for much of that time the Silk Route from Byzantium to China. 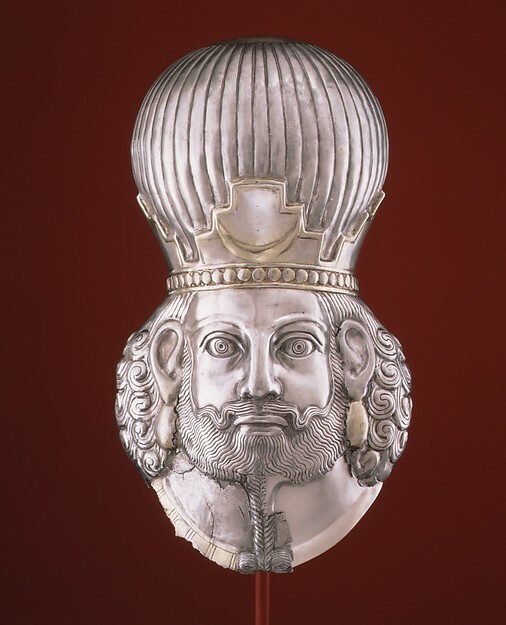 Dating from the fourth century A.D., this silver head of a Sasanian king is an exquisite example of Sasanian metalwork. It is raised from a single piece of silver with chased and repoussé details. The king wears simple ovoid earrings and a beaded necklace of Sasanian fashion. His powerful stare and characteristic arched nose seem to suggest that the artist was attempting to convey a sense of majesty rather than an individual likeness. The identity of the subject of such representations, in relief or in the round, can often be determined by comparison of facial features and details of the crown with those of kings portrayed on Sasanian coins of the period. In this case, however, the crescent that decorates the crenellated crown and the striated orb that rises above it have no exact parallel. 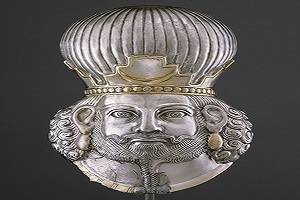 A combination of stylistic details suggests that it was made sometime in the fourth century, perhaps during the reign of Shapur II (A.D. 310–۳۷۹). The lower section of this head has been cut away, so there is no way of knowing whether it was originally part of a larger sculpture composed of several pieces or a decorative bust intended to be seen alone.